Here a whole city is your classroom, renowned experts are your teachers and the president is your neighbor. 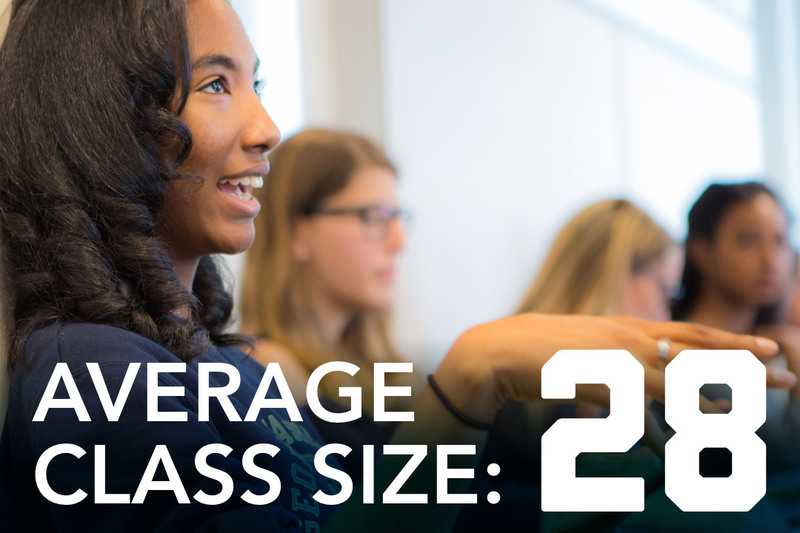 When you study at GW, your experience will be anything but typical. You might learn from Pulitzer Prize-winners, run into world leaders on campus or be challenged by the first lady to serve our community. But the real difference at GW is that as a student you’ll immediately put what you learn into action. From the center of Washington, D.C., you’ll be able to explore hundreds of internship opportunities (in your field alone), take part in groundbreaking research that changes lives, join a student organization and volunteer with fellow Colonials in the city or around the world. If you come to GW, you won’t just live in D.C. — you’ll become a part of the nation’s capital and make a difference in it every day. 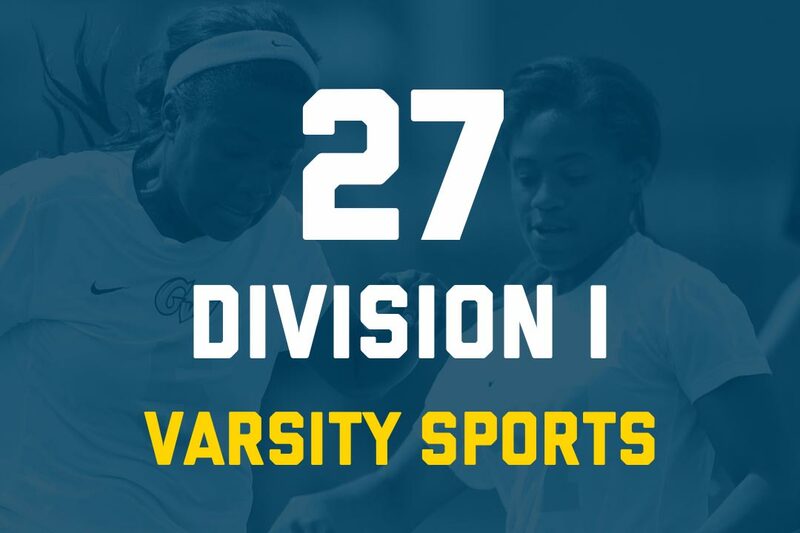 At GW, we offer more than 75 majors for students interested in a traditional, on-campus college experience. 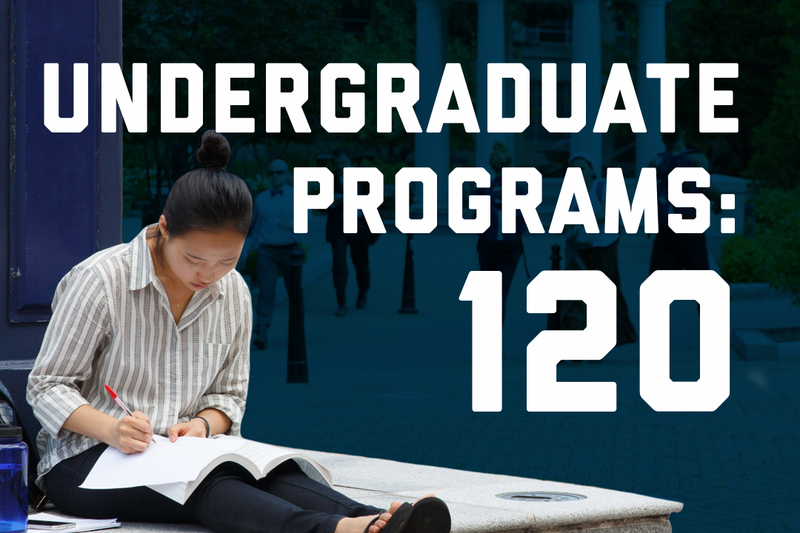 These majors, offered on the Foggy Bottom and Mount Vernon Campuses, are offered through the Columbian College of Arts and Sciences (including Corcoran School of the Arts and Design and School of Media and Public Affairs), Elliott School of International Affairs, School of Business, School of Engineering and Applied Science, and the GW School of Public Health. Separate programs are offered in the School of Nursing, School of Medicine and Health Sciences, and the College of Professional Studies for students wishing to continue or complete a professional degree or to obtain a second professional bachelor’s degree. 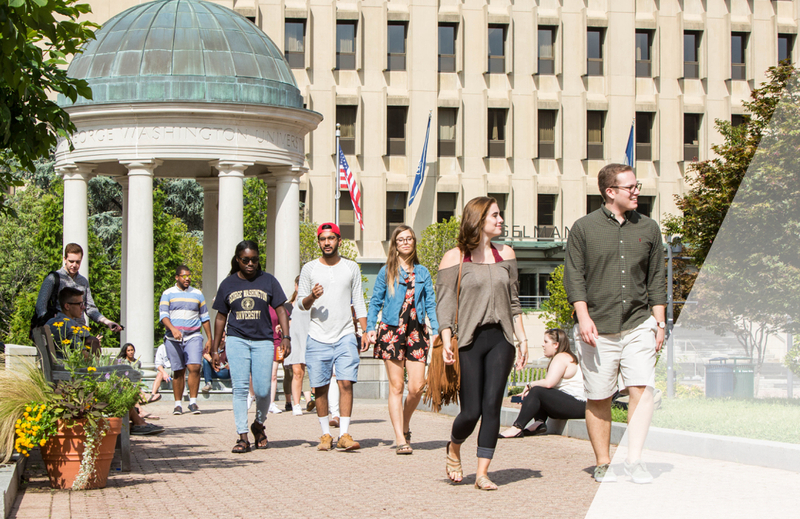 These non- residential programs may be hybrid (combining online and in-person), online or located at one of GW’s Virginia campuses. 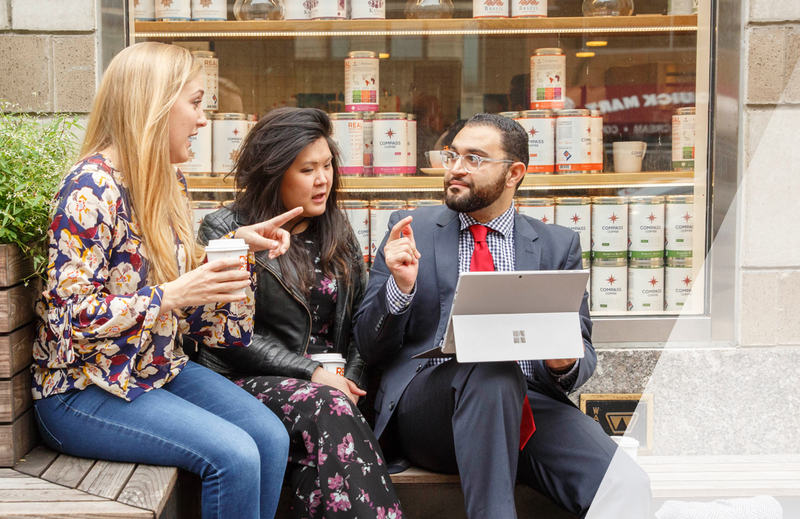 Students apply directly to the school of intent. 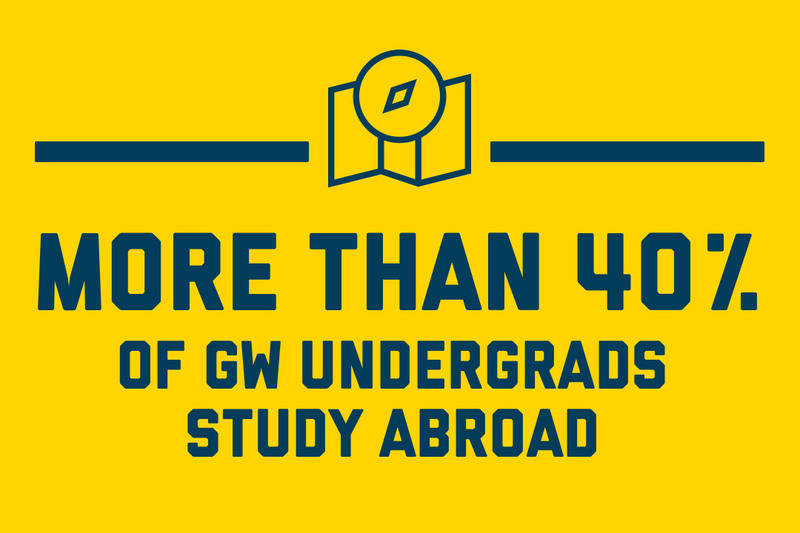 At GW, you can expand your interests and passions through the various special interest programs we offer. These programs provide opportunities to specialize in a field or topic area, as well as for co-curricular experiences, specialized coursework and residential options while remaining fully integrated into your general curriculum and major requirements. 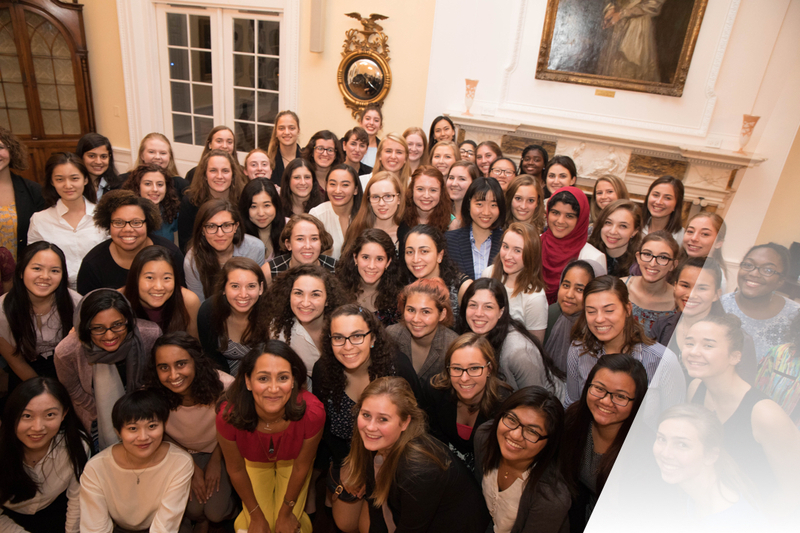 The Elizabeth J. Somers Women’s Leadership Program (WLP) is a selective, year-long, living and learning program for first year women at GW. 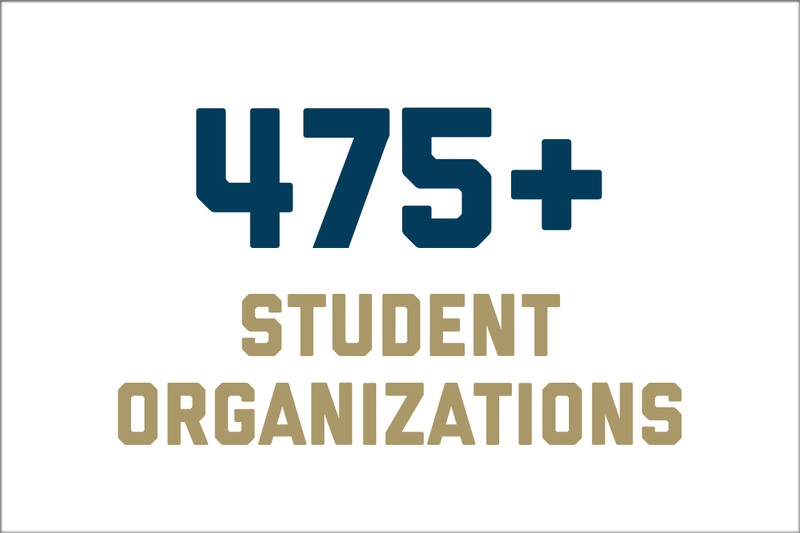 It promotes excellence in academic achievement, fosters strong community building, and provides the framework that students use to develop their own leadership identity. WLP students have the benefit of small classes, close contact with faculty and women in leadership roles, and strong community ties within this residential program on the Mount Vernon Campus. 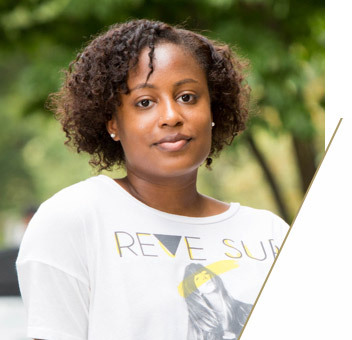 Through weekly symposia, lectures, workshops, experiences across the city and close contact with successful females in a variety of industry, women in this program are prepared to emerge from GW as leaders in their chosen field. "I get the opportunity to be a part of the art community as well as the larger university, and that's exactly what I wanted. Being around different Corcoran people and GW as a whole, there are so many different personalities, so many different ethnicities, so many bright, creative people. And that kind of brought the best out of me." Under our fixed tuition program, your tuition is guaranteed to remain at the same rate for up to five years of attendance at the university, as long as you maintain continuous, full-time study. 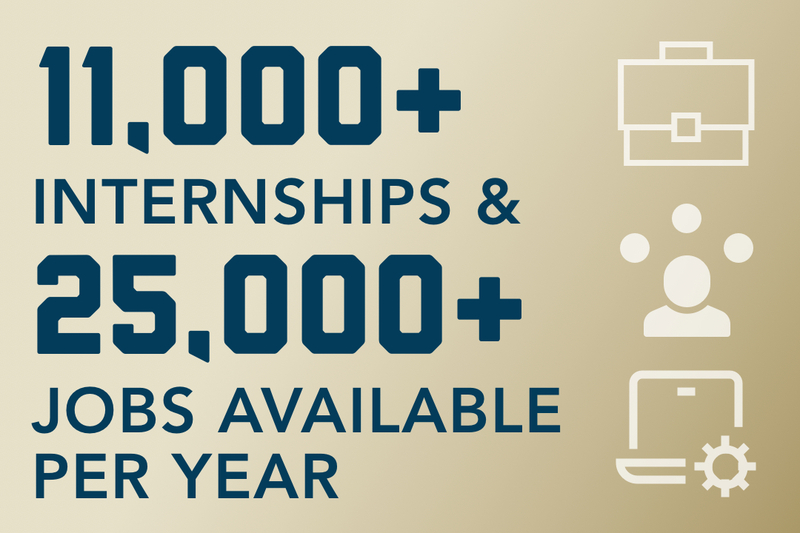 So while you’re juggling classes, internships, student groups and #OnlyatGW moments, you can take comfort in knowing that we’ve taken the guesswork out of financing your education. To us, an applicant is much more than a test score. We want to get to know our students. Our test-optional policy makes it possible for us to get the full story, as you are not required to submit standardized test scores, except in certain situations. You can submit yours if you choose and they will be considered with your other materials. We want GW to be affordable and attainable for any family. Our Task Force on Access & Success looks for new opportunities to enroll the most successful and diverse student body. We’ve formed partnerships, initiatives and scholarships to help in accomplishing that goal and have created programs — like mentorships and resources for undocumented individuals — to ensure our students are successful once they’re on campus.